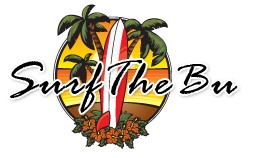 Joel Shultz, of Surfthebu.com will fulfill all your surfing dreams with top quality, hassle-free, competitively priced surfing lessons backed by three decades of surfing instruction in the Malibu area. 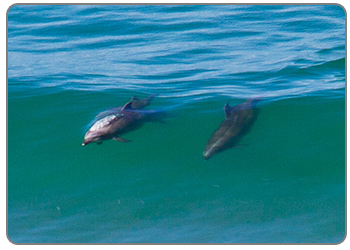 Other Malibu locations are Surfrider, Latigo, Topanga and Sunset. 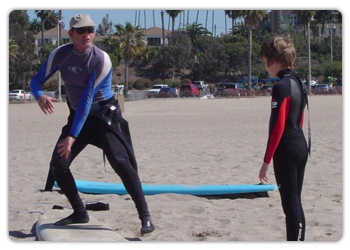 You'll learn how to do a "textbook" pop-up, and all the basic fundamentals and mechanics of surfing. You'll also learn such essentials as safety measures, timing, trimming, turning, accelerating, establishing and maintaining control of your board, right of way, etiquette, crowd psychology, stretches, diet and a list of crossover sports.